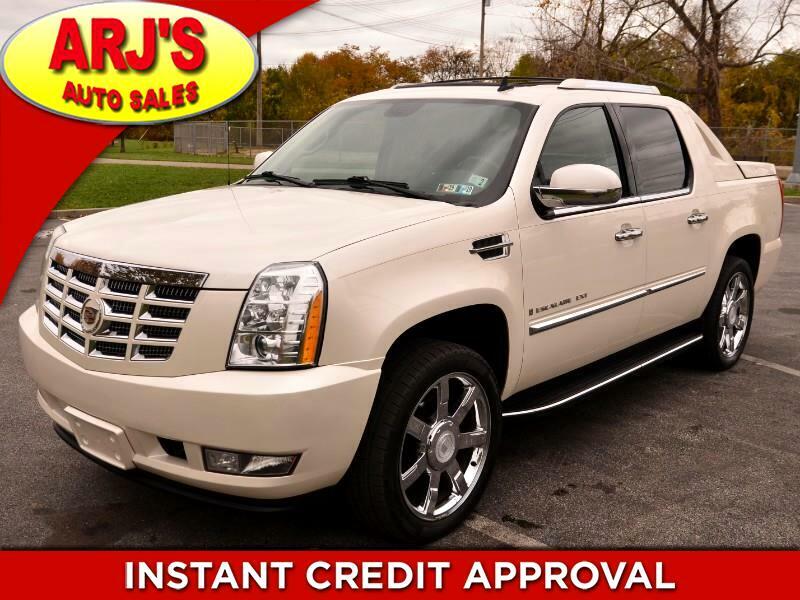 ARJ'S AUTO SALES IS PROUD TO PRESENT THIS RUGGED AND LUXURIOUS, FULLY EQUIPPED 2008 CADILLAC ESCALADE EXT. WELL CARED AND IN PRISTINE CONDITION. THE PEARL WHITE METALLIC EXTERIOR OPENS TO A SHARP CHARCOAL LEATHER INTERIOR. LOADED WITH NAVIGATION, MOONROOF, REAR CAMERA, HEATED SEATS, BLUETOOTH FOR HANDSFREE PHONE AND CONTROL FOR STEREO FUNCTIONS ON THE STEERING WHEEL. THE BACK SEATS FOLD DOWN FOR CARGO AND THE EXT HAS IT’S UNIQUE REMOVABLE REAR WALL TO EXTEND THE BED INTO THE CABIN FOR LONGER ITEMS. EQUIPPED WITH A POWERFUL 6.2L V-8, TOW PACKAGE AND ALL WHEEL DRIVE.THE CHROME WHEELS HAVE TIRES WITH GREAT TREAD ON THEM. DOESN’T GET MUCH NICER! WE WELCOME ALL OUT-OF-STATE BUYERS AND TRADE-INS. AIRPORT, BUS AND TRAIN STATION PICK-UP IS NO PROBLEM!!! FOR MORE INFORMATION AND TO SEE THIS CADILLAC, CALL 216-631-3600. Message: Thought you might be interested in this 2008 Cadillac Escalade EXT.